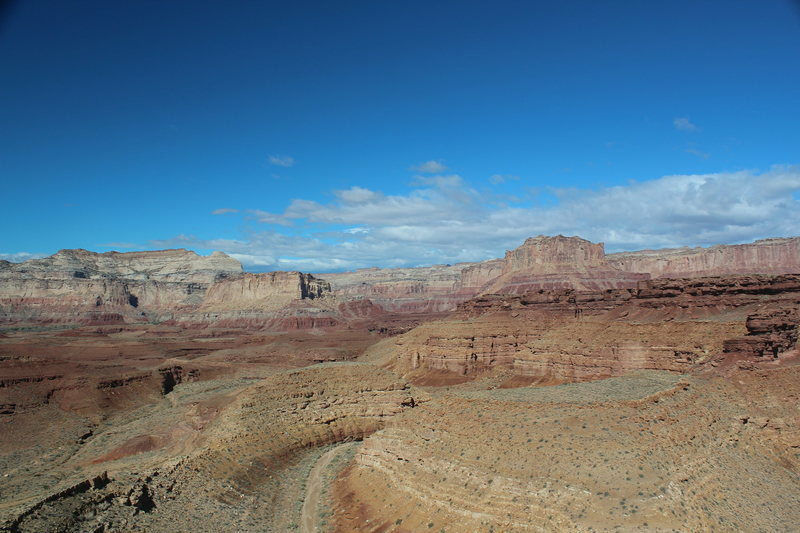 The San Rafael Swell is an uplift in the center of Utah that has been eroded down to a scrappy, dry (mostly), wild area, ravaged by mining and ORV-use, and cut with interesting canyons. It is close to the Wasatch Front, and was my go-to canyon area when I lived in the City of Salt. 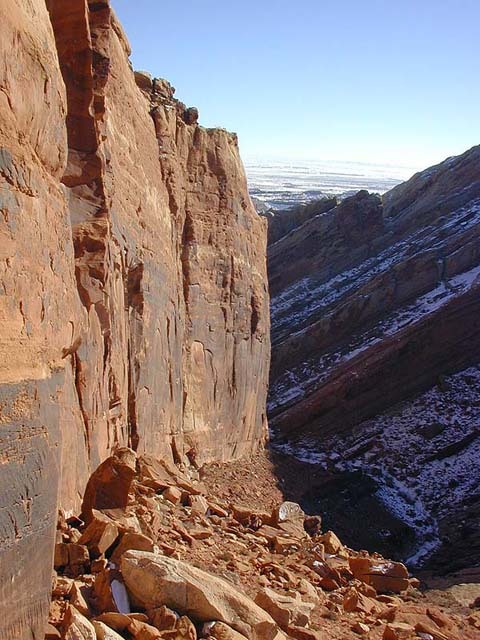 A jagged reef of Navajo Sandstone surrounds it, mostly, and a mixed bag of sandstone, mudstones and limestones populates the interior. The scale is friendly, human. 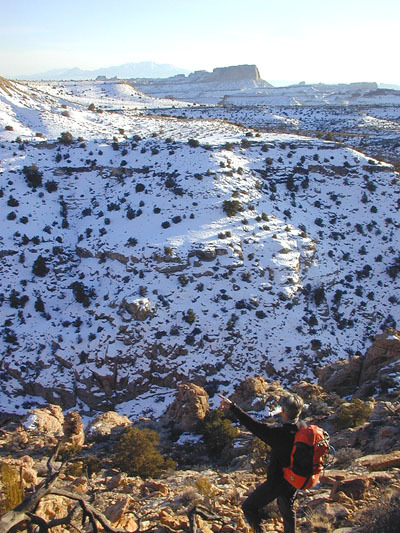 The canyons tend to be moderate both in length and difficulty. 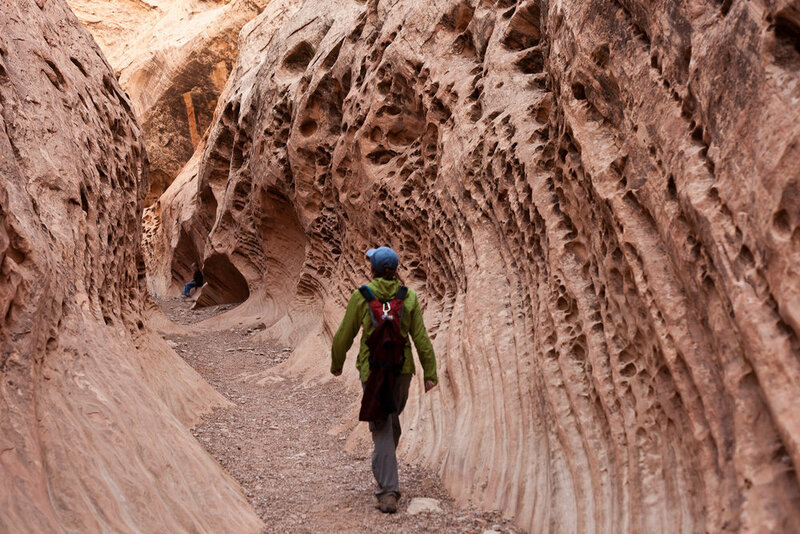 It is a good place for hiking, and has a few technical canyons of note, and technical terrain that provides a playground for exploration. I have put very little energy into the Swell, and the Swell descriptions, since 2002, other than enjoying a few Swell Classics down at the southern end. This archive represents many of the first canyons I attempted to elucidate for the benefit of fellow desert lovers, and the descriptions are... what they are. Juvenalia. A bit rough, compared to the current level of polish. Many people still find them useful, however, so let's keep them available, with the understanding that they have not been maintained and thus should be read with a grain of salt.